Over the next few weeks, our Cardinals are going to be playing some of the best basketball team’s in the country. There are no days off in the ACC and things only get tougher on the road. Tonight Louisville heads to Blacksburg to play #13 Virginia Tech. The Hokies have won three straight and are 11-0 at home this season. Virginia Tech embodies the personality of their head coach in their man-to-man defense: intense, tireless, and in your face. They don’t play a ton of zone, but if they see an opportunity to use it to their advantage, they won’t hesitate to exploit an opponent’s weakness. This Hokie defense just held NC State to the lowest scoring output in the shot-clock era. Virginia Tech held the Wolfpack to just 16.7% shooting from the field and 7.1% shooting from beyond the arc. In their own gym. The Hokies are ranked 66th in the Country and holding their opponents to an average of 62.1 ppg on 41.2% shooting from the field. They are also ranked 13th in scoring defense, and 19th in turnover margin. Virginia Tech has been outstanding on both ends of the court as the Hokies rank 56th in scoring offense, 5th in FG% and 2nd in 3 point FG%. In Buzz’s offense, he will emphasize the paint touches, using their guards to slash to the lane and work the ball through the paint to find the open man. They will get to the free-throw line and kick it out for the bomb. I don’t feel like our Cardinals took a step back on Saturday but they did fail to capitalize on another big moment. I felt like the toughness just wasn’t there on Saturday. The Cardinals have been tough on the Road. They have won 4 of their last six and is outscoring teams by an average of 10.7 points on the road this season. Tough is the keyword tonight. It’s really going to take a gallant effort to get a win. Our guys have responded well this season after setbacks. Coach Mack has created a competitor culture since being in Louisville. These guys have lost games but not once have they quit. They keep competing. Jordan Nwora and Steve Enoch struggled in the last one. I think these guys will be key tonight. Nwora needs to own the perimeter and Enoch needs to own the paint. Virginia Tech fans and their players have had this game tonight circled on the schedule. 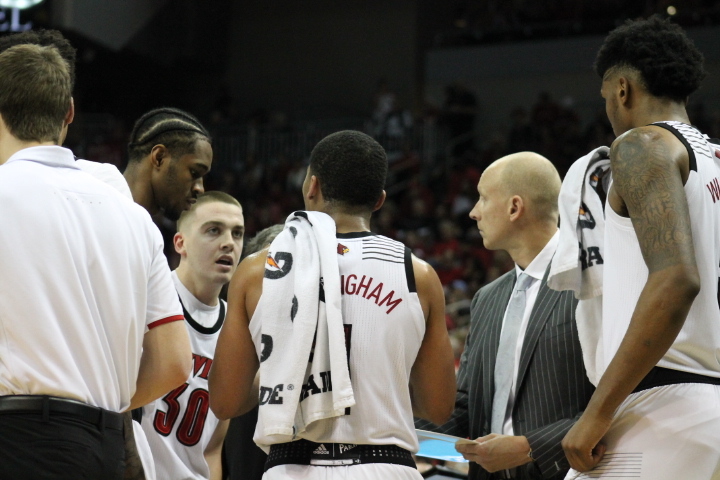 A 14 game losing streak to Louisville will be on the line tonight. They don’t get us this year that streak may get much bigger. With that in mind, I’m not overly confident in this one. I am confident our guys will play hard. Enjoy this one folks. This is one of those college basketball rivalries I remember from my childhood. Some of those old Metro battles were great. The game tonight should be a good one. Go Cards!